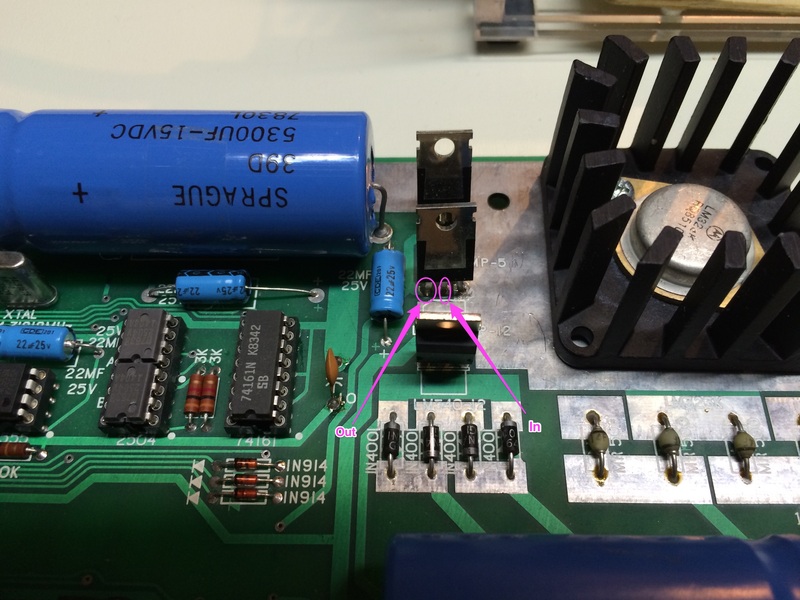 Can anyone tell me what voltages they are reading on the out and in pins on the LM320 marked in the attached pic? This is an Apple I replica. minus 5 volt regulator there should be a value from -4,8 volt to -5,5 Volt present. Depending on flux type. Probability is high that this cleaning is not necessary. The input to the regulator needs to be -2 volts below the regulated voltage of -12V and since there is probably some ripple on the input, you want a little extra. Anything in the very general area of -20 volts is what I've seen with US mains power and the transformers recommended by WOZ. Minimum would probably be around -15 and max input for the regulator is -30. There is a trade off, the farther the input is from -12 volts, the hotter the regulator will run.